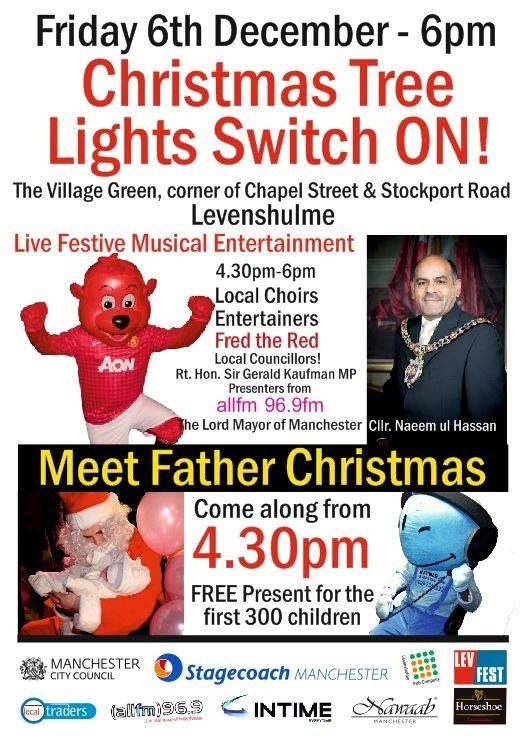 Come join the seasonal fun on Friday 6th December on Levenshulme Village Green (corner of Stockport Road and Chapel Street). Santa, live music and a free present to the first 300 children from 16.30 with the big switch on at 18.00. This entry was posted in community, events by Jeremy Hoad. Bookmark the permalink.